I awoke this morning to a glittering yard. The frost was thick and the urge to snuggle in and eat something yummy grabbed me. 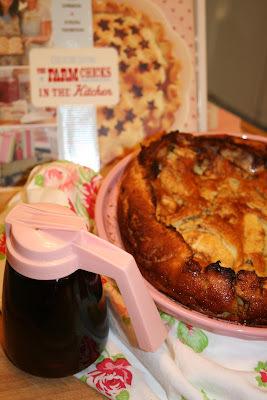 So I went to my trusted Farm Chicks book and made the apple puff pastry recipe that never fails. It was extra special using the apples that my daughter picked herself. Yesterday I had some new kitchen lights installed. It's so dark in our house and with the winter approaching I know how fleeting daylight is in Michigan. The light over the table is a bigger version of the one over the kitchen island. It illuminates everything so nicely. I love how the pink island stands out with the new lights. The island is certainly the focal point of the kitchen. It's amazing how lighting can change the look of a room. I like the crispness of the black with the pastels. Another check off on the home improvement list! Great lighting. And the Apple dish looks yummy! your new lights are perfect. your kitchen is ever so pretty. 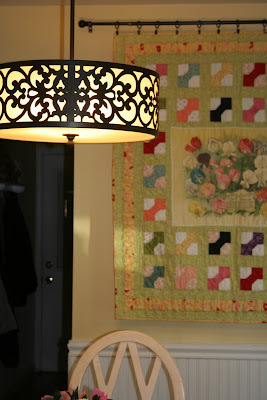 The lamp/lights are a lovely contrast, and the design is the star of the show, no doubt! LOVE your kitchen. Incredibly charming. Here's to GREAT LIGHT! 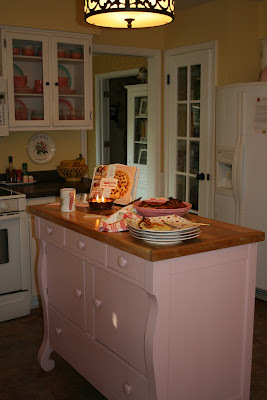 How gorgeous your kitchen is.So cozy and quaint looking.A nice place for sure to have a cozy meal or bake. 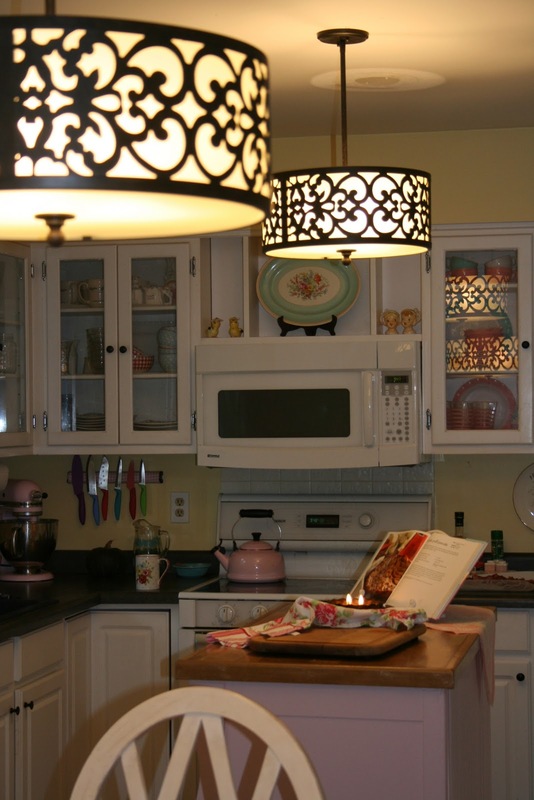 Love your kitchen cabinets - I too have glass doors and wouldn't trade them for anything - I love the way they reflect light. 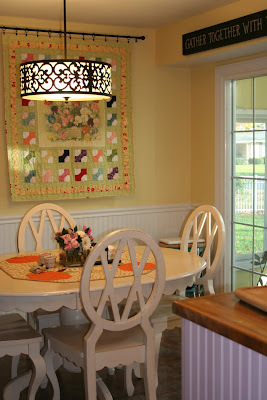 Did you make the quilt that is hanging my the table - beautiful! Your kitchen is wonderfully inviting and cozy. And, that pink tea kettle? LOVE it! I would really enjoy having a cup of freshly brewed coffee with your apple puff pastry. Happy Weekend!!! The lights look great and its always good to be able to tick something of a list!! The apple pie looks delicious! I need a new light over my table so I am taking notes. Nice choice. 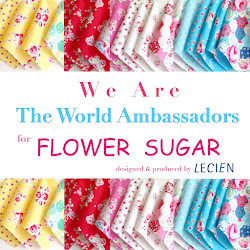 Do you like this cookbook? I have their Christmas book. It's more just good eye candy than anything. I love your new lighting. 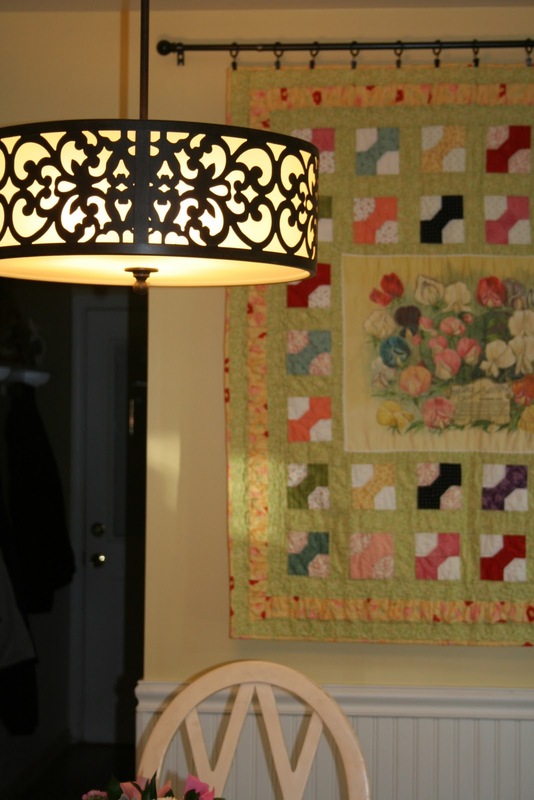 It looks very pretty in your kitchen and dining room. 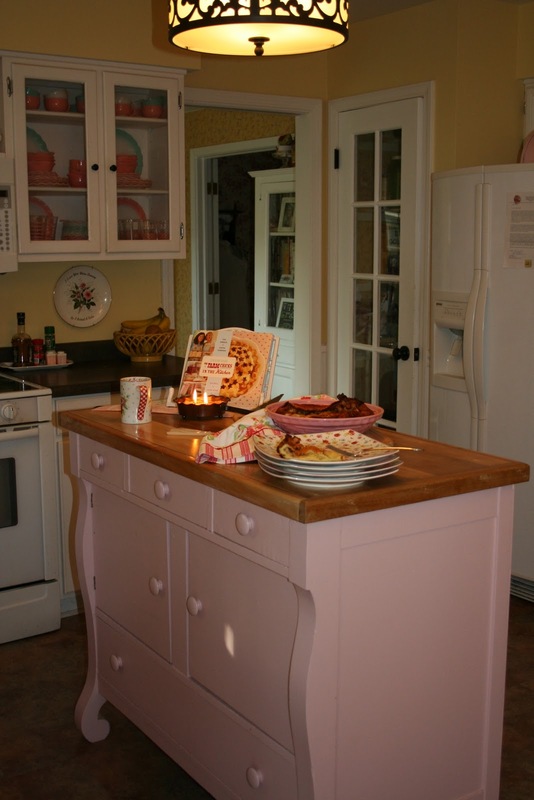 Love the pink island too! Oh I love your lights...they are beautiful...good lighting makes such a difference. xxo Hugs to you my dear. I would LoVe to see more pictures of your kitchen! !